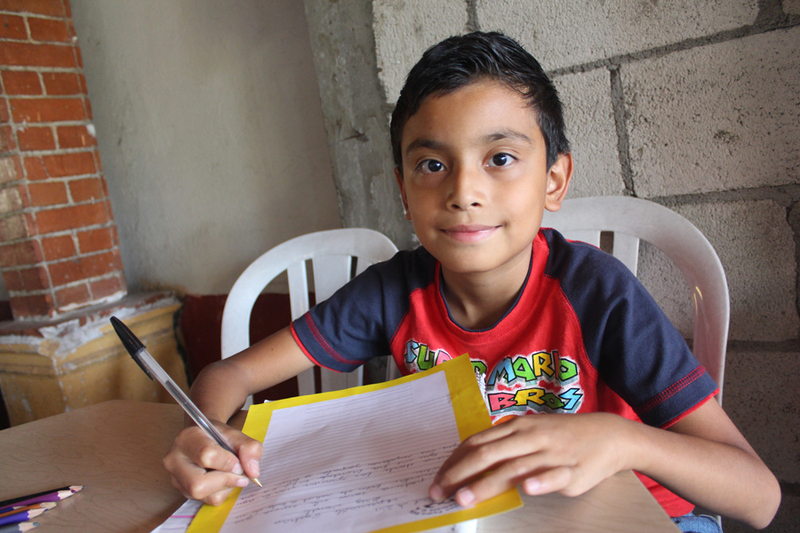 Daniel, a CFCA sponsored child in Guatemala, writes a letter to his sponsor. Have you got letter-writer’s block? Do you stare at a blank page, wracking your brain to think of questions to ask in your letter? Give your brain a break with these 15 easy letter-writing ideas! If you sponsor a child through CFCA, you’ve probably heard of the importance of writing letters to your sponsored friend. We hear over and over again from our field staff what an impact those letters have on sponsored children. The encouragement and love they find in sponsors’ letters often serve as a benchmark in their lives, pushing them toward their dreams and goals. In letters, they read that someone believes in them, and they hang on to that encouragement as they build a path out of poverty, day in and day out. But if you’ve sat down to write a letter to your sponsored friend, you might have found yourself a little stumped. What should you say? What should you talk about? What questions can you ask? Here are a few easy questions to jump-start your letter-writing. 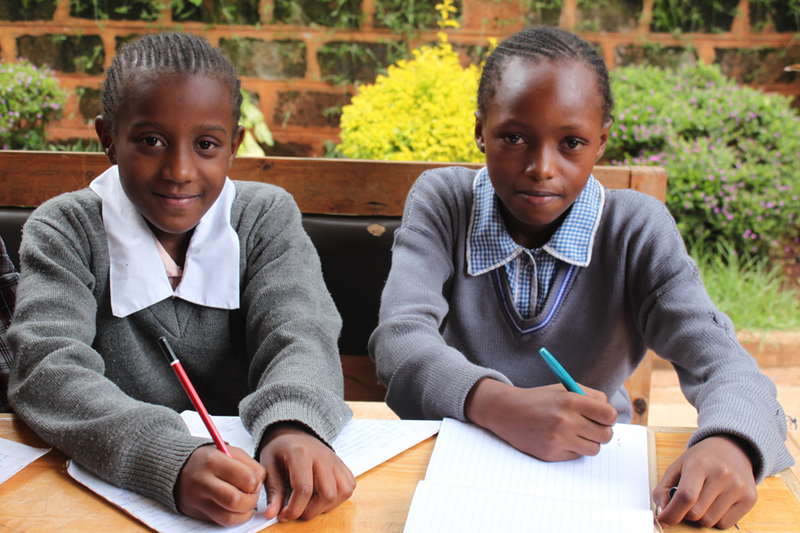 Celestine, a CFCA sponsored child, and Diana, a child waiting for sponsorship, in Kenya. In the body of your letter, you can tell your sponsored friend about yourself by answering questions such as the ones we’ve suggested below, and then asking your friend the same question. What did you enjoy doing most as a kid? What challenges did you overcome in your education or career? What hobbies do you have now? Or what do you do to relax? What is the area where you live like (weather, topography, population, etc.)? What is your favorite food? Do you cook it? What is your favorite holiday? How is it celebrated? What is a challenge you’re currently working to overcome? What is one thing you’re learning right now, or a book you’re reading? Rudy and Anabela in Guatemala do homework and write letters to their sponsors. Remember, above all, your sponsored friend just wants to hear from you! If you don’t have the time to write a letter, a simple card with the message, “We are proud of you!” and a signature could be just the encouragement your friend needs to build a path out of poverty. Share your letter-writing ideas with us by leaving a comment below!